With award season in full flow we received some more good news in regards to our identity work for acupuncturist, Steve Li. 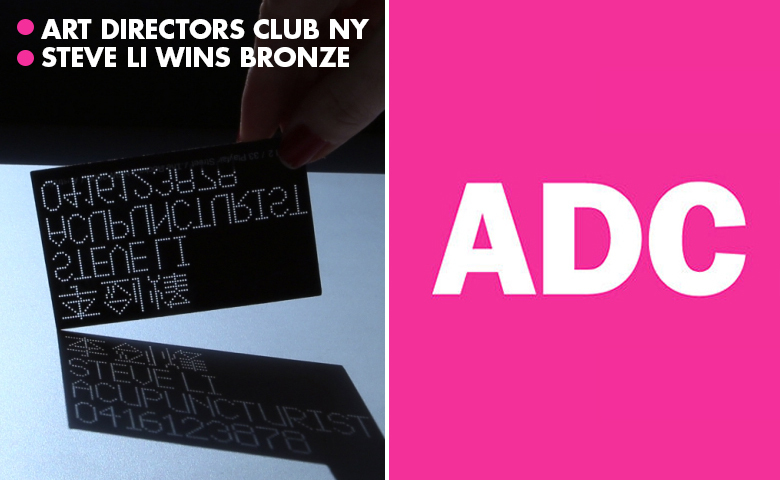 ADC (Art Directors Club) awards announced that the cards have won Bronze in their Corporate / Promotional Design category. The Art Directors Club awards is in it's 92nd year and with it comes a long history of prestigious winners, so to be held alongside such names makes it even more humbling for us to win this award. Congrats to everyone involved and thanks to ADC for the award!